Pad wear is calculated in millimetres. The confusion comes in the way this is communicated to drivers. You might be told that you’ve got 10,000 miles of wear left in the pads. Or the technician might say that you’ve still got 50 per cent of the pad . Or they might even say that you’ve got 5mm of pad remaining. Which means the most to you? I know which makes the most sense to me and it’s not the last two. 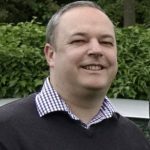 Worryingly, a study by warranty provider MotorEasy found that only a quarter of independent garages told car owners that they had so many miles left in their brake pads. The same study also found that franchised dealers are the least likely to give drivers a mileage estimate. The reason I find this worrying is because if you’re told you’ve got 2,000 miles left in the pads, you know you’ve got (for example) two months more motoring before you must replace them. If you’re told you have 5mm of pad remaining you might replace the pads too late to be safe, or too soon to get full value for money out of them. With Green Flag Smart Service you’ll have your own technician at the end of the phone. They’re specially trained to ‘decode’ mechanic speak. If a garage tells them your car has 5mm of brake pad remaining, they should be able to tell you that you’ll get another 15,000 miles out of them, or whatever it might be. 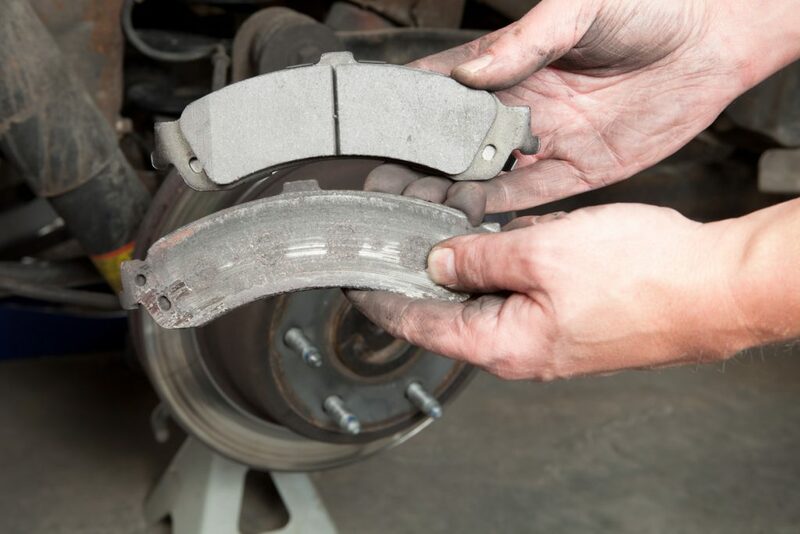 How do you know that brake pads need replacing? Brake pads have a wear sensor that’s connected to the car’s main computer. When the pads start to get near the end of their life, an orange warning should light up on the dashboard. If you ignore that, many cars have a metal component in the pad which makes a horrendous screeching sound when you apply worn brakes. It’s a horrible sound and it’s meant to be. You really shouldn’t get to the point where your brakes are that worn. It’s tricky to see brake pads because they’re usually hidden by the callipers that house them. But you can frequently peer between alloy wheel spokes and see the pad. They’re the material that’s pressing against the circular disc. On the outside, there should be at least 3mm of pad material visible. If you can’t see that much, get a professional to inspect the car. Sadly, I can’t give a definitive answer to this because it depends on so many factors. 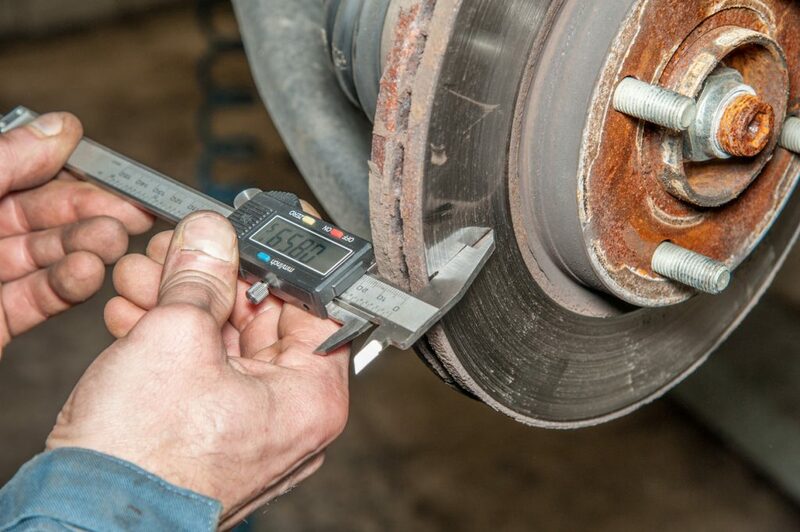 Different manufacturers make their brake pads out of slightly different materials. Every driver has a slightly different way of using the brakes. And each car is used in a different way by varying numbers of people and carries a different weight. A general answer is they should last for around 30,000 miles. But some car/driver combinations may get their pads to last two or three times that. One thing is certain: the pads on the driven wheels will need changing more frequently than those on the non-driving wheels. For most of us, those are the front pads. But drivers of many BMW, Jaguar and Mercedes models will be getting through rear pads at about twice the rate of front pads. Think back to when you were a kid on your bike. You pull on the lever and the brake pads grip the wheel. The friction of the pad on the wheel brings the bike to a halt. With the majority of modern cars, when you push the brake pedal, hydraulic fluid in the system causes the pads to grab onto the brake discs on the wheels. The friction slows the car down by converting motion or kinetic energy into heat. But every time you apply the brakes, a fraction is rubbed off the pads. And that’s why it’s important to know how many miles you have left in them. And what about drum brakes?